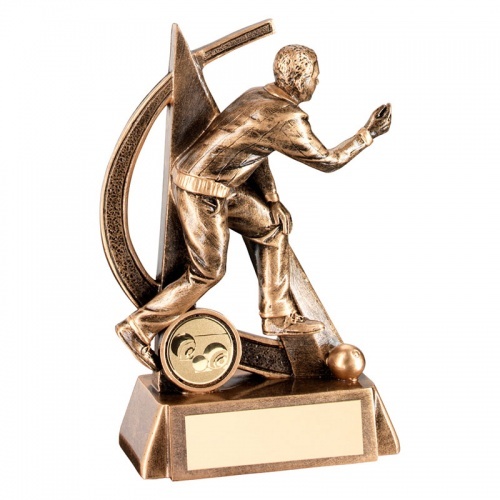 Stylish resin lawn bowls awards trophies featuring a figure of a male bowler and bowls set on a bevelled base with engraving plaque. These lawn bowling trophies have an attractive antique bronze and gold finish and stand 5.75in (146mm) tall. We offer low, fixed-cost text engraving of the base plaque, allowing you to create custom engraved trophies for your crown green bowling or flat green bowling event.